With the help of disruptive technologies such as Cloud Computing, Artificial Intelligence (AI), Cyber Security, Internet of Things (IoT), Data Science & Business Intelligence, the global business & finance scene is undergoing a wave of transformation like never before. Meetings no longer take place in boardrooms, bank transactions no longer require a day-long dealing with bank tellers, while placing more advertisements on newspapers no longer guarantee a business’s success. According to Accenture’s Finance 2020 report, automation will eliminate up to 40% of financial jobs; the question then arises – how can the future workforce of business and finance capitalize on the latest technologies available, to prevent themselves from being replaced by automation and robotics technology? How do we ensure that our next generation of business and finance professionals remain in the other 60%, who are driving along this paradigm shift? 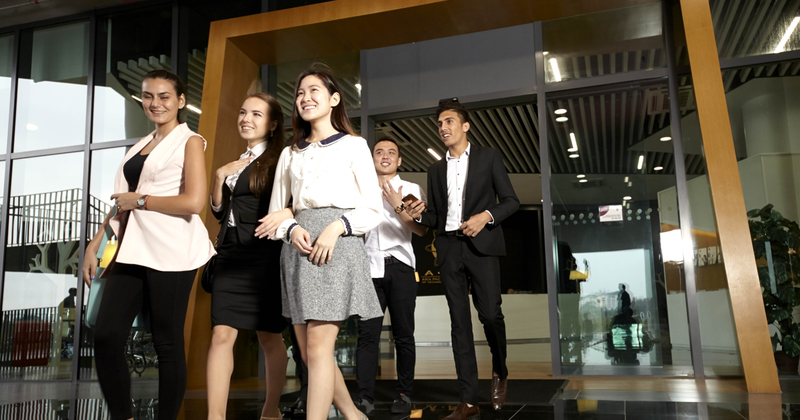 As one of Malaysia’s Premier Tech Universities, APU plays a significant role to ensure that our business and finance graduates are ready to join the Industry Revolution 4.0 workforce. In line with our edge as a University of Technology and Innovation, we ensure that our students graduate with a solid business mindset, enriched by responsiveness towards technology that allows them to partake in the global transformation wave. According to the Agile Finance Revealed report from the American Institute of CPAs (AICPA) and Oracle, almost 50% of top finance leaders are now implementing cloud-based enterprise performance management and robotic process automation in their businesses, and sophisticated technologies will be driving the directions of financial institutions as well as enterprises. This is where fresh buzzwords come into the picture: FinTech (for Financial Technologies), MarTech (for Marketing Technology), BI (for Business Intelligence) and more. 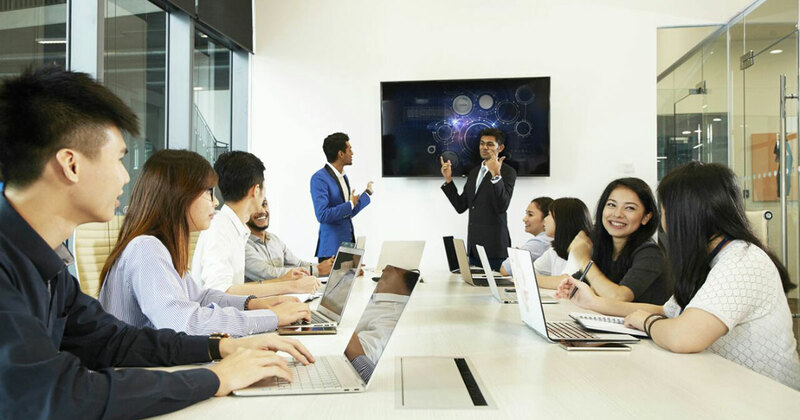 There is a rising need for new talents that can amalgamate business and finance knowledge with profound understanding on the way to operate, manage and use technologies to develop business solutions. Through the constant innovation of academic programmes, we have moved a step ahead from delivering traditional business and finance degrees to develop programmes that are designed for the future, such as Digital Marketing, E-Business, FinTech and Blockchain. These programmes, developed under the collective input from our industry advisory panels, incorporate both traditional financial and business strategies with innovative emerging technologies, through the delivery of subjects that are related to Marketing Intelligence, E-Commerce, Digital Currencies and other relevant areas. As traditional degrees are becoming obsolete, APU’s revamped programmes provide a competitive edge to our business and finance graduates, preparing them for emerging jobs that may drive the direction of business and finance in the future. Our industry partners play a vital role in supporting us to move forward. Partnerships with innovative accelerators such as GrowthX Academy and Supercharger enhances the platform for our students to realize their world-changing ideas, inspiring them to become innovative technopreneurs of the future. This strong partnership also enables students to be exposed to real-life business cases supplied by our partners, providing our students with hands-on exposure and practical learning experience. They formulate solutions and develop business ideas for actual companies, experiencing the journey of strategic business planning even before they graduate. Together with over 10,000 industrial partners and potential employers, we take the industry-driven approach as our key to deliver high quality programmes that combine practical knowledge and relevant theoretical concepts. As part of the approach, we involve our industry advisory panels, accreditation and certification bodies for regular programme reviews, to ensure that we deliver up-to-date contents from time-to-time. Under this formula, over 40,000 of our alumni are globally employed in reputable multinational companies such as Accenture, Deloitte, Maybank, KPMG, PwC, Standard Chartered, Earnst & Young and many more. APU plays a vital role in cultivating the values of Creativity and Innovation among students, to ensure that they are shaped into visionary, competent and capable business and finance professionals. 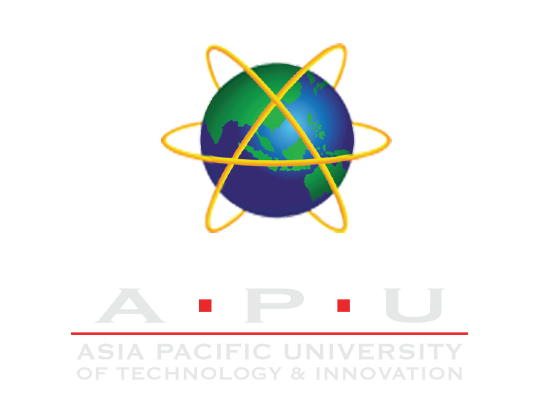 Teaching and learning facilities in APU’s iconic campus are redesigned to enable ‘intelligent’ teaching, learning and research. Striding our ICT strength, we blend the use of technology within curriculums, where teaching and learning processes utilize advanced digital technology, software and infrastructure that are available on-campus. 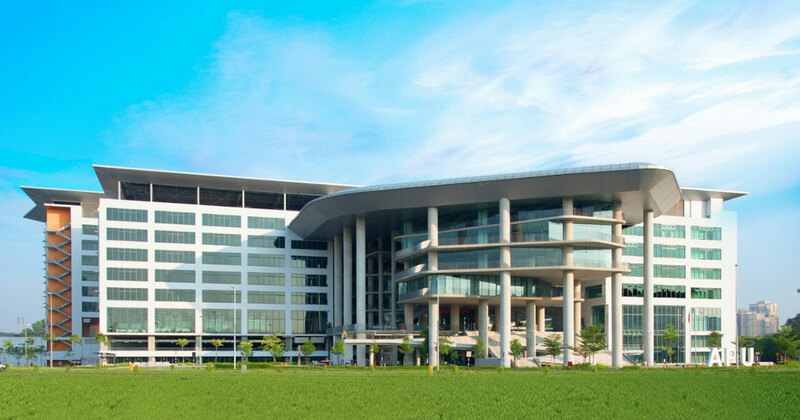 Discussion spaces, social spaces, think tanks and Innovation Labs are highly available within APU’s campus in Technology Park Malaysia (TPM), Bukit Jalil, to promote cooperative learning and cultivate exchange of ideas among students from different disciplines and academics. Teaching and learning methods has transformed into highly-interactive and stimulating processes, encouraging students to think out-of-the-box and formulate better solutions with the help of technology. Our outcomes-based learning approach has produced graduates who can think critically, act innovatively and communicate ideas effectively; they are capable to deal with complex and exciting opportunities that lie ahead. The transformation from a high school-leaver to an industry ready graduate is a crucial process in one’s life, where a university plays an important role to facilitate this transformation. Aside from gaining a tech edge, we equip our students with relevant cross-cultural communication skills, within our globalized campus environment that currently houses a community of students from more than 120 countries. Through regular multicultural discourse and events, the continuous cultivation of global outlook builds our students’ confidence and trains them to engage in global conversations, international strategies and multicultural encounters, making them workplace-ready even before they graduate. Professionalism is one of our key values for success. It is also a significant value to our business and finance students, who aspire to emerge as corporate professionals or entrepreneurs. To nurture professionalism, we instill practical workplace skills within the curriculum, by incorporating lesson activities that build confidence, enhance personal skills and build team spirits. As a unique feature, APU students proudly dress in professional attire, while adhering to a professional code on conduct on-campus. To complement the industry-based approach in teaching and learning, we create an environment that simulates the future workplace, so that our students join the future workforce confidently. APU was announced as among the Highest Rated Emerging Universities in Malaysia, being rated at TIER 5 (EXCELLENT) under the SETARA 2011 Ratings by the Ministry of Higher Education (MOHE) and Malaysian Qualifications Agency (MQA), and has maintained this Excellent rating in the SETARA 2013 Ratings and the latest SETARA 2017 Rating. Under the Quacquarelli Symonds (QS) 2017 Ratings, APU was awarded 5-Stars in 4 categories of the QS Stars Ratings – Teaching, Employability, Facilities and Inclusiveness. The QS Stars rating is an international rating system that measures the achievements and qualities of universities worldwide. In addition, in 2017, APU was also announced as one of Malaysia’s Premier Digital Institutions of Higher Learning (IHL) by the Malaysia Digital Economy Corporation (MDEC), for its commitment in offering top-notch digital technology courses and ensuring highly-skilled graduates continue to flourish and fill future digital job demands locally and globally.